The new Atomos Ninja Blade offers a stunning 1280 x 720 5 SuperAtom IPS touchscreen, at 325ppi 179-degree viewing, 400nit brightness and multi-frequency (48/50/60Hz) operation, you can expect crisp, super smooth monitoring and playback. 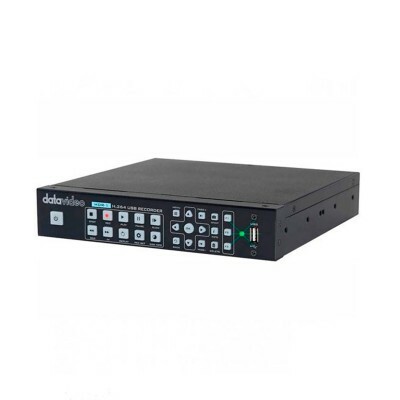 1280 x 720 On-Camera Monitor & Recorder 5" IPS/325 DPI Touchscreen Display Waveform, Vectorscope, Focus Peaking Records 1080p, 10-Bit, 4:2:2 ProRes or DNxHD Encoding and Playback HDMI Input and Loop-Output Records to 2.5" HDDs/SSDs Cut and Tag Editing Tool The Atomos Ninja Blade is the worlds most advanced smart production recorder, monitor and playback deck. Every part of its physical and operational design has been carefully crafted to deliver the ultimate in simple operation and mission critical reliability. 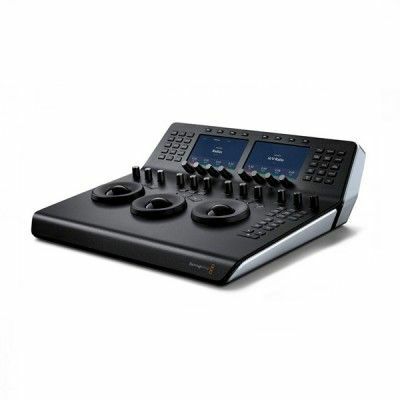 The Blade combines multiple devices external monitor, capture card, playback deck and cut edit suite into a single affordable tool. Its lightweight, tough and robust for operation in the field. 10-Bit 4:2:2 Quality for the Masses: Your affordable DSLR or camcorder is ripping the life out of your sensor with MPEG 420 8-bit recording. 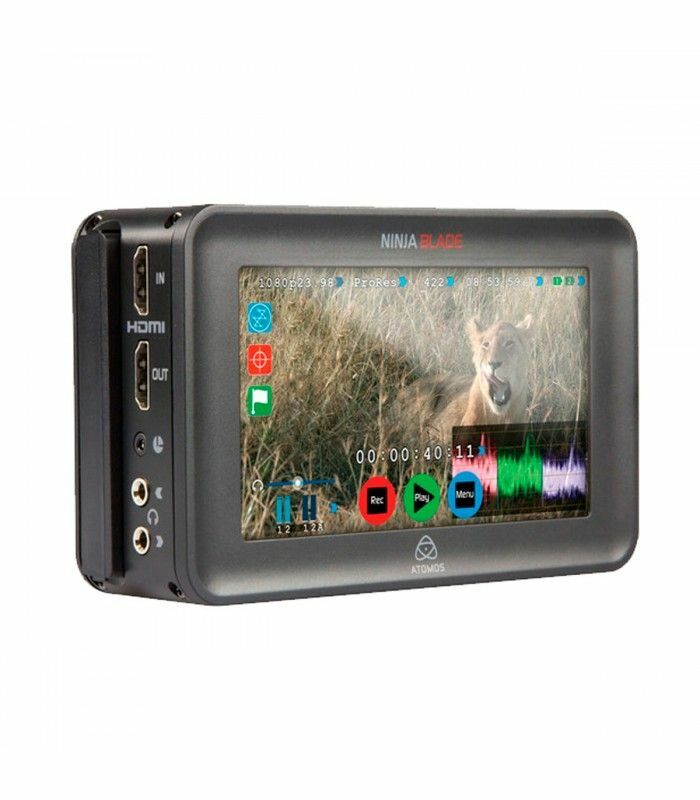 Increase the quality of any camera to professional edit friendly codecs the files are large and the result amazing, only Atomos deliver the ultimate in quality recording to the masses. So why record 10-bit from the sensor of a camera, if it's 8-bit? Well, if you want to edit, use CG or 3D effects, green screen or add titles and transitions, these will all be crushed to 8 bit. We bypass the 8-bit and record 10-bit colour registries to ensure your video plays nicely with all computer effects. 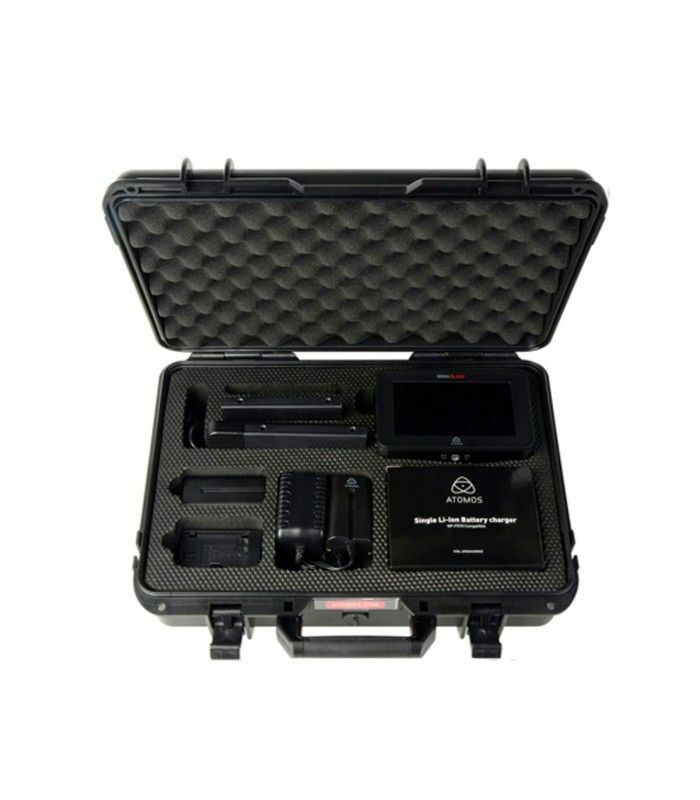 Powerful Monitor & Test Suite: Packed into the light and mobile camera-mountable Ninja Blade are all the essential tools you need to set up on-site accurate colors and exposure including full waveform monitor functions - Vectorscope, RGB and LUMA parades. 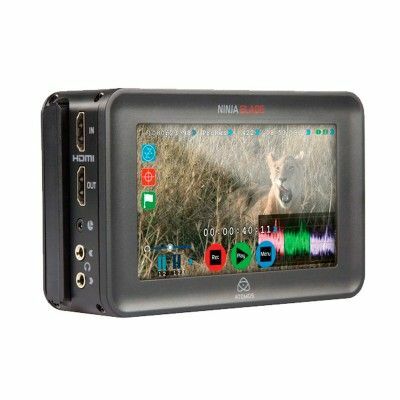 Each provides an intuitive transparent interface offering full screen, lower 3rd or bottom right corner positioning to give you a range of options when setting up, recording and playing back your shot. 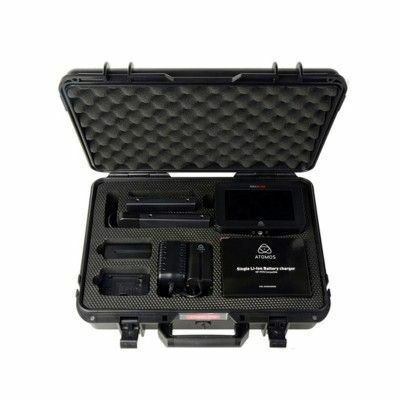 Colours You Can Trust: Atomos is the worlds first to offer a portable calibration unit for the Ninja Blade - a Monitor, Recording Device and Deck. No other competing device offers this level of color precision. 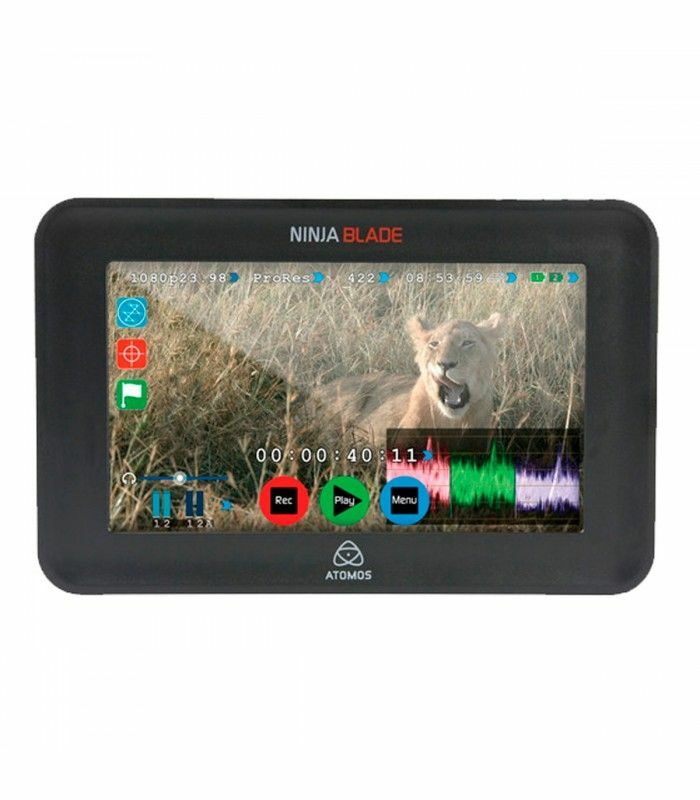 Developed in partnership with Datacolor the Atomos Spyder gives the Ninja Blade one button color calibration normally only found on high end monitors. With Spyder, the Ninja Blade gains the ability to accurately calibrate to the SMPTE Rec 709 color space with a D65 white point with 100% gamut. Being able to trust the colors on a monitor while setting up the shot with RGB, Luma Parade and Vectorscope tools means perfect results every time. Professionals will spend far less time color correcting and finishing in post helping you save time and money. HDD & SDD Compatibility: 2.5 hard disks are the most affordable digital storage on the planet. 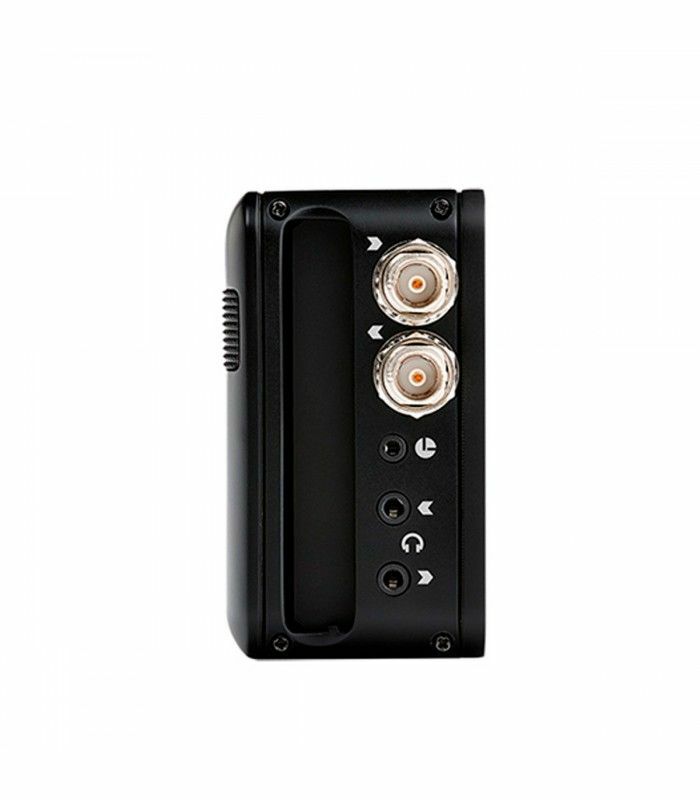 They outperform SSDs, SD card, SxS and P2 cards in terms of cost and reliability for video use. In normal video shooting environments the 2.5 HDD is your new tape. Extremely low running costs, long record times (up to 30 hours) and limitless supply. For those vibration sensitive shoots, around the racetrack or in the helicopter, we of course support modern SSDs. 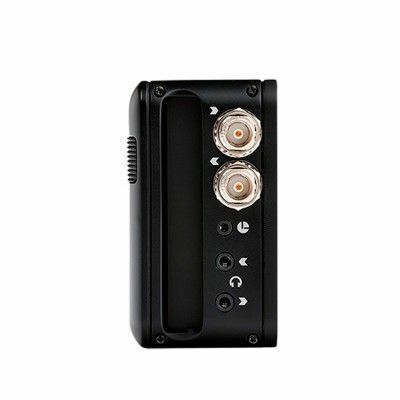 Audio Monitoring: All audio, even analog, is locked frame accurately to every video frame, never drifting or losing sync. If digital audio is out of sync from the camera, you can even adjust sync on the fly by advancing or delaying incoming audio. 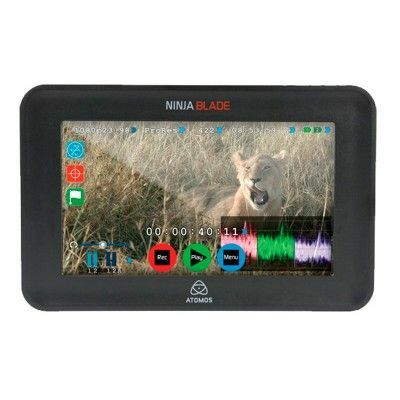 The Ninja Blade monitors/records 2 channels of audio embedded in the HDMI signal, and 2 analog audio channels. Construction: The Blade is built with aircraft grade aluminum and features locking mechanisms for each removable part. Low Power Consumption: Blade consumes only 6W of power and can be powered by the included Sony NP Type battery. The unit features two locking battery slots, and comes with a Nikon EN-EL15 type battery adapter plate, and an LP-E6 type battery adapter plate, allowing you to use batteries other than the Sony NP type to power the unit.